Woodhead Sales | Portable Lighting, Wiring Devices, Outlet Boxes, Pushbuttons & More! 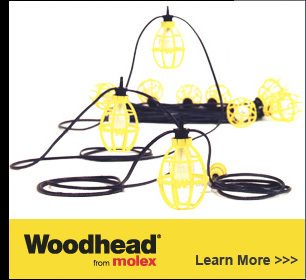 Woodhead® Pro-Yellow® stringlights give you unbeatable value for standard duty performance that stands up to hard usage. 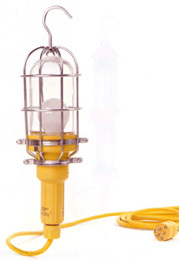 Woodhead Pro-Yellow® stringlights provide you with job-tough reliability and NEC and OSHA compliance at an affordable price. Ideal for lighting large areas, Woodhead stringlights are constructed for quick installation in a wide range of industrial settings. Whether it's a brighter handlamp or a smaller wiring device, Woodhead has the right product for many common applications. Woodhead is a quality manufacturer of a wide variety of portable lighting products, wiring devices, portable outlet boxes, cable reels, pushbuttons, & more!